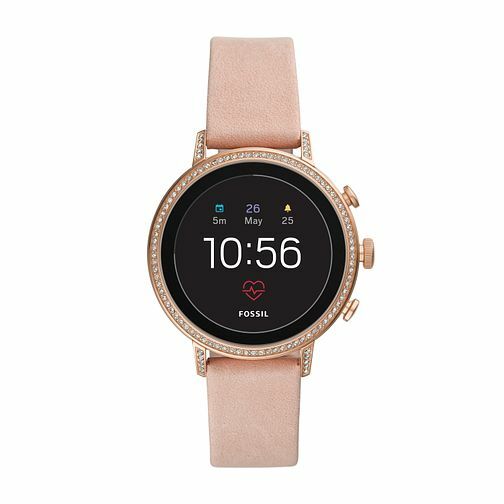 For the fashion forward woman with an adventurous spirit, the Fossil Gen 4 smartwatch is the wrist companion for you. The Q Venture smartwatch keeps you connected whether you go. Customise the full-round display and three buttons with your favourite features to personalise your dial, from tracking your heart rate and daily steps, to controlling your music and receiving text, email and even social network notifications from your smartphone. Not only will it impress you with it's features but it's stylish design with its crystal encrusted dial frame, make it the ideal fashion accessory. Smartwatches built with Wear OS by Google™ are compatible with iPhone® and Android™ phones.